An elite hockey player born in Minnesota has numerous paths to success. Almost all will play Bantam and high school hockey while living at home and then likely a year or more of junior hockey prior to playing college hockey in the United States. Picking up stakes and leaving home to play hockey at 14 years-old is not normal in Minnesota. With the echoes of “you don’t have to leave” and sweet whispers of state titles and "responsibility to a community" from the hockey institution in Minnesota, Todd Scott left for Detroit-based Little Caesars to play Tier I Bantams, and has not played a home game in his home state since. 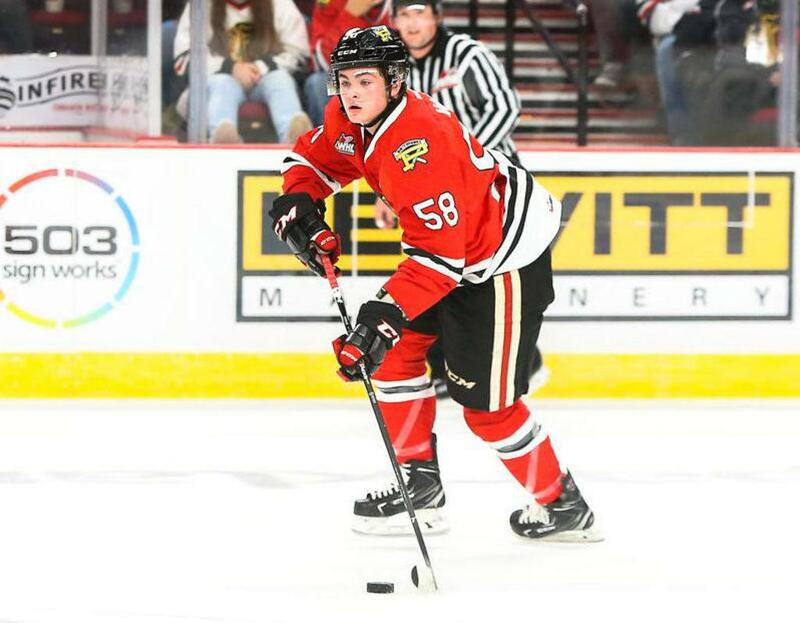 With a laser-focus on playing professional hockey, Scott has played Tier I Bantam (Little Caesars), Tier II Juniors (Coulee Region, NAHL) and Tier I Junior (Sioux City, USHL) and Canadian Major Junior (Edmonton, WHL). Todd has a great hockey resume - USA National camp invite, NTDP camp Invite and has represented USA Hockey overseas. Which begs the question, why would you forfeit a guaranteed college scholarship and move from home to play in the Western Hockey League? Comparing the route from Minnesota to the NHL via college or Canadian Major Junior isn't even statistically possible. Only one current Minnesotan started his career in the Western Hockey League and is playing in the NHL (Dustin Byfuglien). If you are reading this article, you already know that college hockey players born in Minnesota are playing in the NHL, which means comparing the sample size of Minnesotans in the Western Hockey League is so small (six to eight per year), the cluster of data to make any logical comparison isn't fair. 325 NCAA players skated at least one game in the NHL in 2018-19. That number represents 33 percent of all players in the league this year. This number is up from 20 percent in 1999 (source: College Hockey, Inc). College hockey isn't for everyone. "After hockey, I want to get into the medical profession. Playing hockey full time and the rigors of what my education will entail never made sense. Going the college route is way more safe, but it wasn't for me. I feel like if you are all in and want to play pro, why not come here and put it all on the line," Scott told YHH. Players that play in the WHL and choose not to pursue a professional career receive a $15,000 stipend per year played in the league. "After my hockey career, I plan to attend the University of Minnesota." Scott is not phased by the decision to forfeit the education dollars and play minor league hockey, and reiterated his ultimate endgame. "The goal is the NHL."